Fresh, piano based pop/rock with great lyrics, unique vocals and a sound that is similar to Ben Folds Five. Features supporting vocals from Leigh Nash of Sixpence None the Richer. 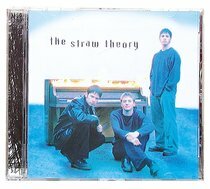 Tyler, Troy, Jack & Josiah, together known as The Straw Theory, had decided late last year to sacrifice their music & seek after God's heart.